It’s a common misconception that allspice is a spice blend consisting of many spices. In reality, allspice is a single spice made from the unripe berries of evergreen trees indigenous to the lush rainforests of Central and South America. 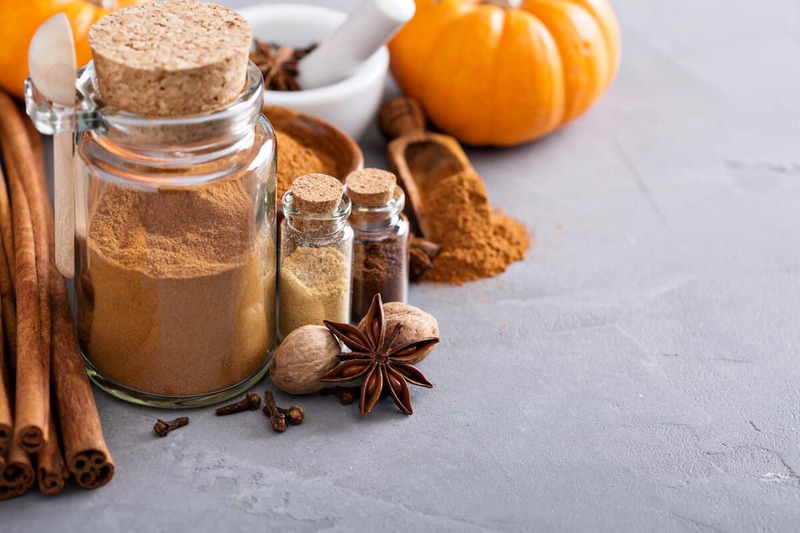 This spice derived its name from the English in the 1600’s, as they found it had a flavor that combined the taste of cinnamon, ginger, nutmeg and cloves. While the trees from which allspice is derived once grew in abundance throughout their native rainforests, they are now found in dwindling numbers due to the unfortunate depletion of these rainforests. Today, allspice is cultivated in plantations in Mexico and parts of Central America, with the finest allspice grown in Jamaica. Both the climate and soil of Jamaica are ideally suited to producing right, aromatic berries which are exported all over the world. Allspice is an extremely aromatic spice that flavors both savory and sweet dishes beautifully. The strong, spicy taste and aroma of this particular spice closely resembles a mixture of nutmeg, cloves, cinnamon and black pepper. It is warm and sweetly pungent with peppery overtones as well as hints of juniper and peppercorn. Allspice carries a bit of heat as well, rating a 4 on the hotness scale. For centuries, allspice has been used in a variety of home remedies. Because it is rich in some vitamins and minerals key to optimum health, it is even taken orally in capsules as a daily supplement. 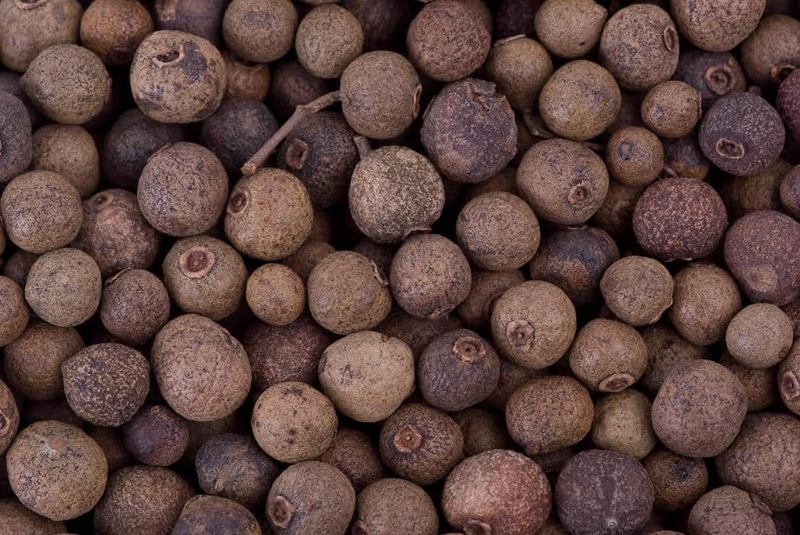 More than any other type of ethnic cuisine, allspice is a vital ingredient in Caribbean cooking. The combination of sweetness and spice flavors traditional cuisine from jerk seasoning to molés and is even used in pickling. The unique flavor profile of this spice makes it a popular and widely used ingredient in Mexican and Central American cuisine as well. 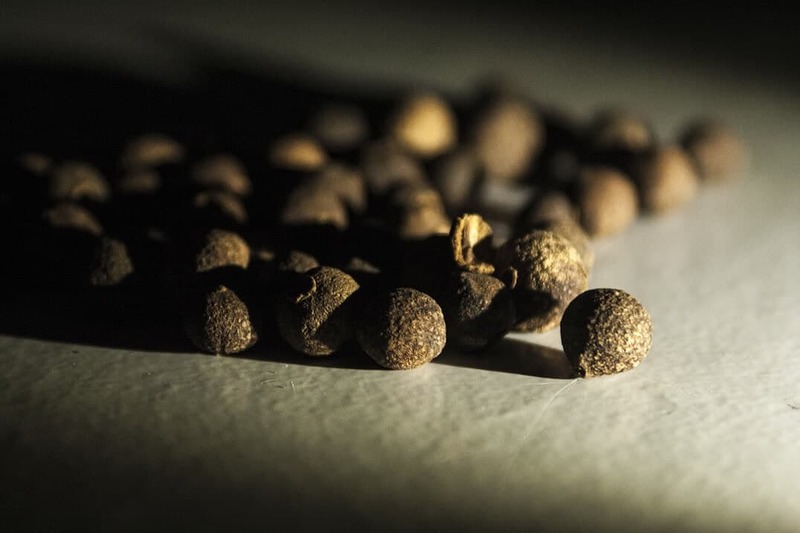 Allspice is perhaps most well-known for its use in flavoring Jamaican cuisine, lending its characteristic heat and aroma to some of the most classic dishes. Jamaican jerk seasoning contains generous helpings of allspice, as do traditional Jamaican beef patties. In European cooking, allspice is a popular and important ingredient in pickling, marinades and mulling spices. In addition, it’s commonly used to flavor smoked and canned meats, pâtés and terrines. Middle Eastern cuisine calls for this spice in traditional stews and meat dishes. In Palestinian cuisine, allspice is often utilized fully as the sole spice that flavors many popular main dishes. In the United States, allspice is primarily used in desserts including cakes, fruit pies, puddings and pumpkin pie. It’s also the key component that gives Cincinnati-style chili the characteristic and distinctive flavor and aroma for which it is known. Allspice is used in the United Kingdom much in the same way as it is in the U.S.
Allspice is even used commonly in the commercial production of some very popular products including ketchup, pickles, sausages and spiced teas. One of the most common uses of allspice—particularly in American kitchens—is as a substitute for cinnamon, nutmeg or cloves. In a pinch, allspice can provide a very good stand-in for any of these ingredients. You may even consider playing around with this substitution, as the flavor will be very similar but with its own unique taste and aroma, helping you to create your next signature dish! 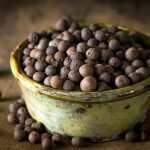 What's A Good Allspice Substitute?